The death has just been announced of an eminent Orthodox scholar who is widely read by evangelical as well as Orthodox students of mission. Rev. Dr. Thomas Hopko served as Dean of St. Vladimir’s seminary in New York after many years on the staff there but is probably best known to a wider audience through his many books and visiting lectures. One of his first books, The Orthodox Faith: An Elementary Handbook on the Orthodox Church, is probably also his best known but more significant are some of his later works such as All the Fullness of God (1982) and Speaking the Truth in Love: On Education, Mission and Witness in Contemporary Orthodoxy (2004) in which he shares his passion for Education as well as contributing to the contemporary Orthodox understanding of mission. More controversially in 1999 he edited and contributed to the review Women and the Priesthood – a volume which on the whole reaffirms the traditional Orthodox position on this issue whilst calling for an openness to hearing different voices and a reinvigoration of the role of both female and male deacons within the life of the church. Fr. Thomas Hopko [born 1939] graduated from Fordham University in 1960 with a bachelor’s degree in Russian studies. 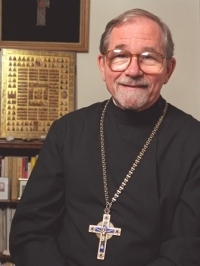 He graduated with a theological degree from St. Vladimir’s Orthodox Theological Seminary in 1963, from Duquesne University with a master’s degree in philosophy in 1969, and he earned his doctorate degree in theology from Fordham University in 1982. An appreciation of Fr. Thomas’ life and ministry can be found on the Holy Cross Hellenic College website. 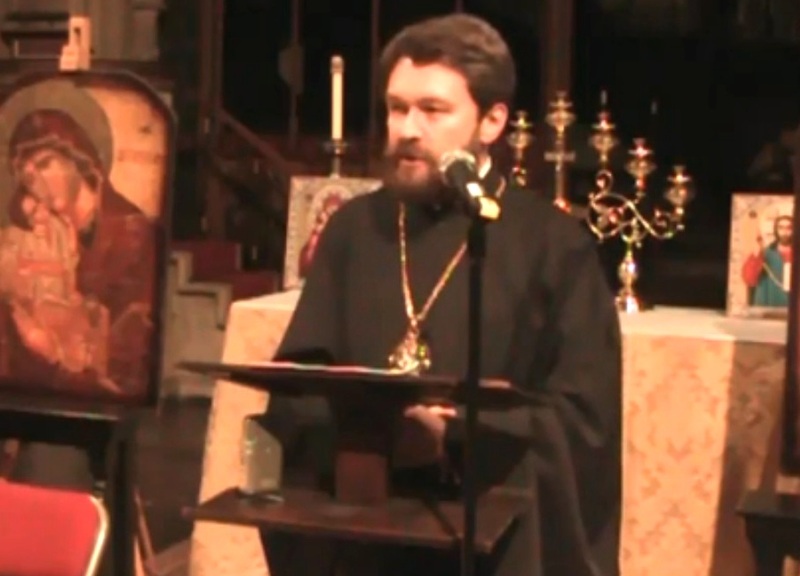 Metropolitan Hilarion Alfeyev, head of the Department of External Church Relations of the Russian Orthodox Church, recently delivered a lecture on “Christian Ecumenism: Does it have a future?” in Winchester and Cambridge, UK. In the introductory passages of his lecture Metropolitan Hilarion deals with the early mission of the church and specifically the role of St. Paul, before going on to look at the reasons for division and schism. His lecture pays particular attention to the conversations between the Anglican and Orthodox churches and whilst optimistic about the work which has been done on doctrinal issues is also very realistic about the difficulty of reconciling differences around the ordination of women and some ethical issues. He deals creatively with such issues as the concept of ‘living tradition’ as well as with the challenges of ‘liberalism’ and ‘tolerance’. Whilst allowing space for contextualisation of Christian life he strongly defends the need for fidelity to Biblical foundations and to divine revelation. The full lecture can be watched here.